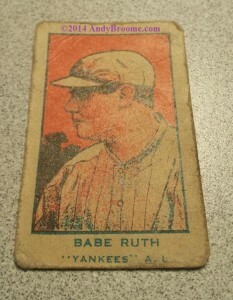 W-cards, or more commonly called “Strip cards” used to be thought of as lesser cards in the world of collecting. 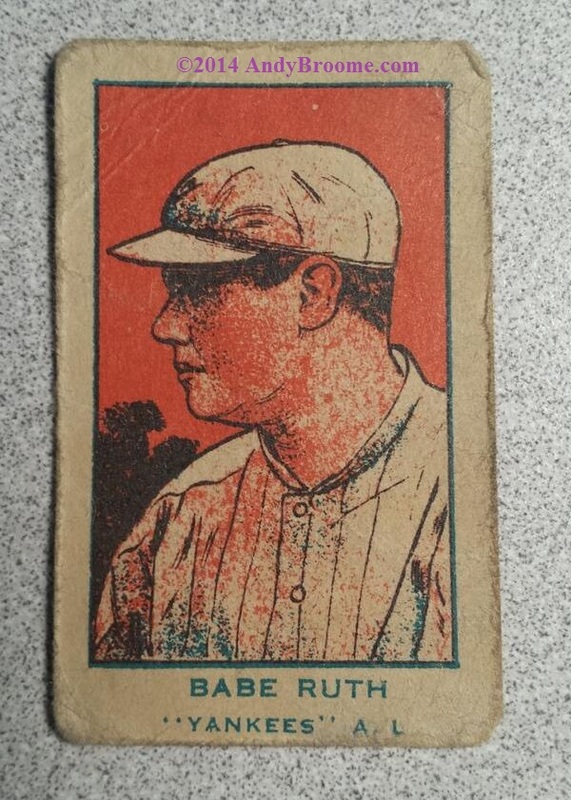 Why buy a crudely drawn image of Babe Ruth when you can purchase beautiful cards like Goudeys. They were cheaper and move available in comparison to more mainstream cards but like everything else, the price of cards rose and collectors began re-examining strip cards. Some of the top tier grading companies began grading them. Now strip cards are popular enough to be counterfeited. Because of the very cheap nature of the production of these cards, detecting a fake may not be as obvious as you may think. Strip cards were printed on very cheap stock and very poor quality. Many of these cards were printed on strips and meant to be torn off the strip and given to a kid every time they purchased a piece of penny candy. 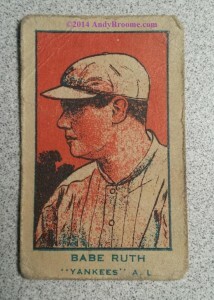 The card in the post today is a 1921 W551 card of Babe Ruth. At first glance, this card looks good. Even the wear does not look bad. The creasing and the rounding of the corners does not look forced, or artificial. Under a loupe, the printing gives this fake away. The printing is not correct and appears almost fuzzy. When the card is held at an angle, reflecting the light of a strong light source, you can see the ink appears shiny. This one is a tough fake to spot. It took a second look under the loupe. Most fake strip cards are not this good, but many do take a second look. 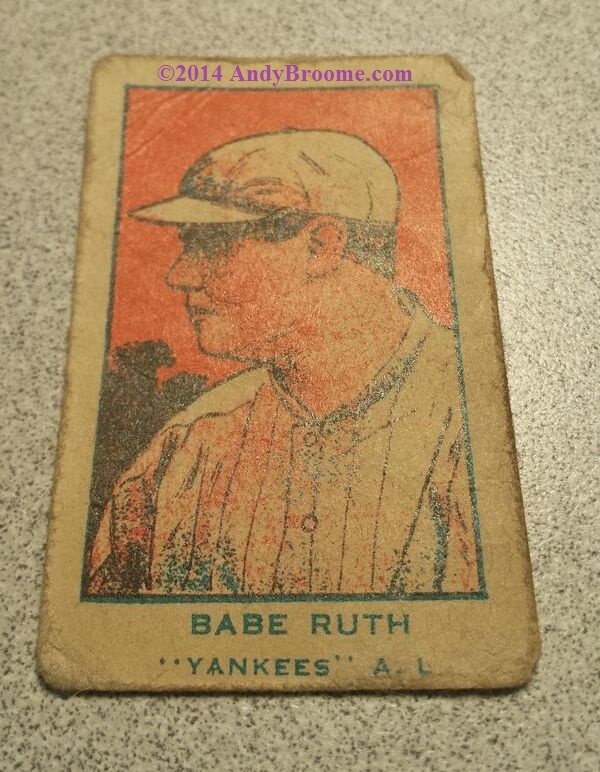 Strip cards are a great card to do the “smell test.” Ever smelled a pre-war card? Especially a strip card? The cheap pulp stock contains a high level of acid causing decomposition. This causes the stock to have a very distinct smell. It would be difficult to fake the smell and I’m not aware of it being possible. At least not yet.